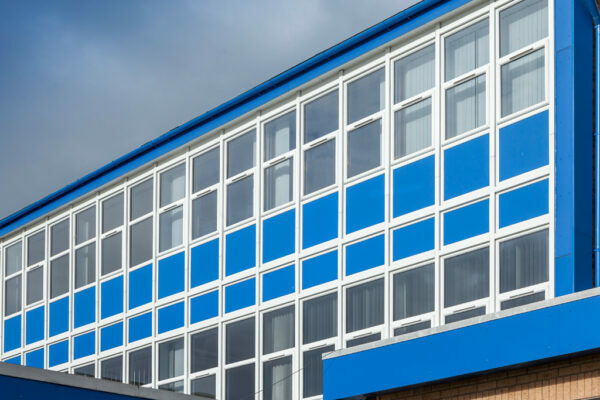 The multi-phase refurbishment of a high school in Lancashire has seen Profile 22 supply state-of-the-art PVC-U curtain walling and window systems to replace existing timber frames, providing staff and pupils with a warmer environment in which to learn. For both phases, Profile 22’s worked with Greenhalgh & Williams and fabricator, Heritage Trade Frames, to meet this need head on. The Profile 22 SK200 Curtain Wall System was incorporated with the latest Profile 22 Optima casement windows with 1.4 u-values to minimise heat loss. In phase one of the refurbishment, completed in 2014 during term time, locally based Profile 22 Approved Window Contractor, Heritage Trade Frames, replaced 74 windows and a 175m2 of curtain walling on the three-storey elevation at the front of the school, as well as an adjacent one-storey technology building. Heritage Trade Frames contracted its approved installers, Coupe Windows, to complete the installation. 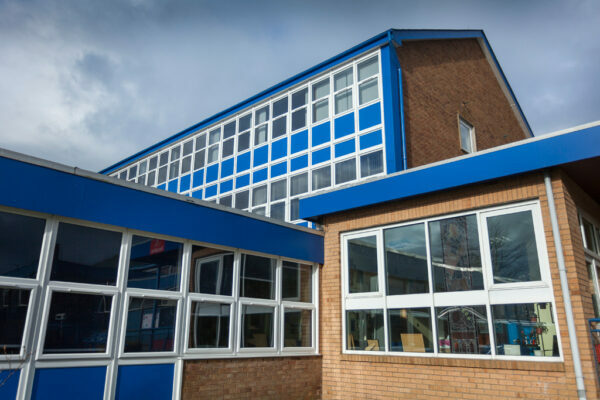 Funds to undertake capital repairs to voluntary aided religious schools like St Cecilia’s are allocated annually through the Local Authority Co-ordinated Voluntary Aided Programme (LCVAP) programme, in this instance the Roman Catholic Diocese of Salford. A proviso is that funds must be spent in the year they’re given. In most cases, refurbishment work on schools is earmarked for the summer holidays to limit disruption to pupils and staff, but allocation of funding outside of this time means this isn’t always possible. Henry Coupe, owner of Coupe Windows, commented: “Due to the timing of the funding for the work, the majority of the installation had to take place in term time, which meant we had to work around pupils and staff and vacate classrooms in a methodical way to minimise disruption and enhance site safety. 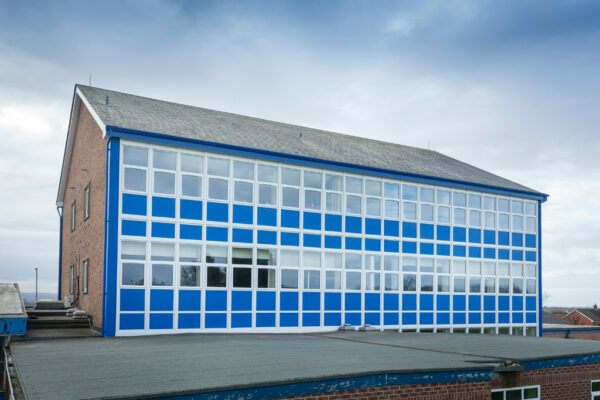 The second phase saw the replacement of curtain walling on the rear, three-storey elevation of the school and standard windows on the two-side gables. Again, due to the timing of the funding, the majority of the installation by Coupe Windows had to take place in the 2016 winter term time, with weather conditions posing certain challenges. 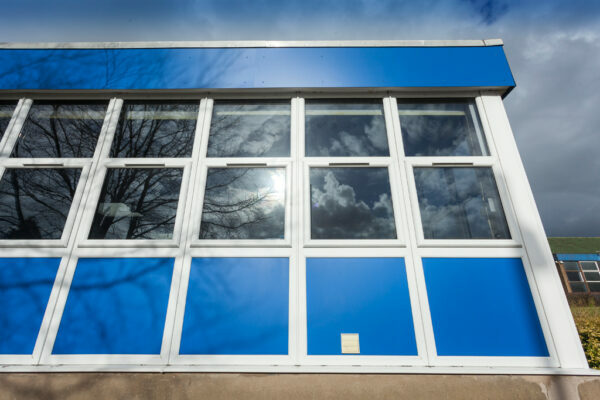 However, having completed the installation in phase one, Coupe Windows and the school were able to accommodate for this again – and had the know-how to iron out any issues from the initial phase of work. The work was completed in February 2017, one week ahead of schedule. Andrew Reid, commercial sales director at Profile 22, commented: “Future-proofing is about capitalising on the whole-life value of products and satisfying current and prospective technical demands.